Elbow-to-elbow racing, record speeds, battles settled by tenths of a second and the sports biggest names - get set for lmost 3 hours of the best road racing action ! Trackside, aerial and on-bike cameras capture every vital moment from ‘the friendly races’. 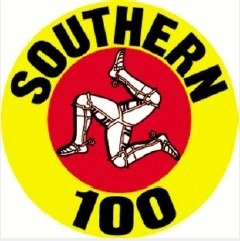 As ever, the Southern attracted an all-star line-up including Michael Dunlop, Tyco Suzuki pair Guy Martin and Conor Cummins, seasoned campaigners Ryan Farquhar and Ian Lougher and a host of sensational newcomers, including Jamie Hamilton and Dean Harrison. There’s plenty of action as Superbike, Supersport, SuperTwin, two-stroke, 400 and Sidecar machines fight for victory around the challenging 4.25-miles of Manx roads, plus interviews and on-screen graphics showing just how hard a winner has to push. Man of the Meeting was, Michael Dunlop, the 2011 Solo Champion setting record-shattering speeds to hold off challengers like Martin and Cummins, while Farquhar and his KMR Kawasaki protege Hamilton produced the dice of the year in the opening SuperTwins confrontation - the pair split by just 0.197s at the flag. The Sidecar races rewrote the history books as circuit newcomers Tom and Ben Birchall shared honours with fellow Southern 100 novice Tim Reeves, partnered by the great Dan Sayle. Holders of multiple World Championship titles, they had to race as hard as they ever had to make their mark first time out at Billown. 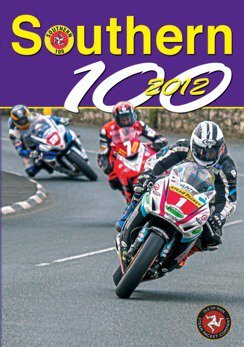 These are just some of the highlights you will want to enjoy again and again in the official review of the 2012 Isle of Man Steam Packet Southern 100 International Road Races. The Southern 100 2012 DVD, 186 minutes in length makes a great present and/or stocking filler as Christmas approaches and is now available via the club’s official website, www.southern100.com; or Duke Video on www.dukevideo.com and from selected shops.